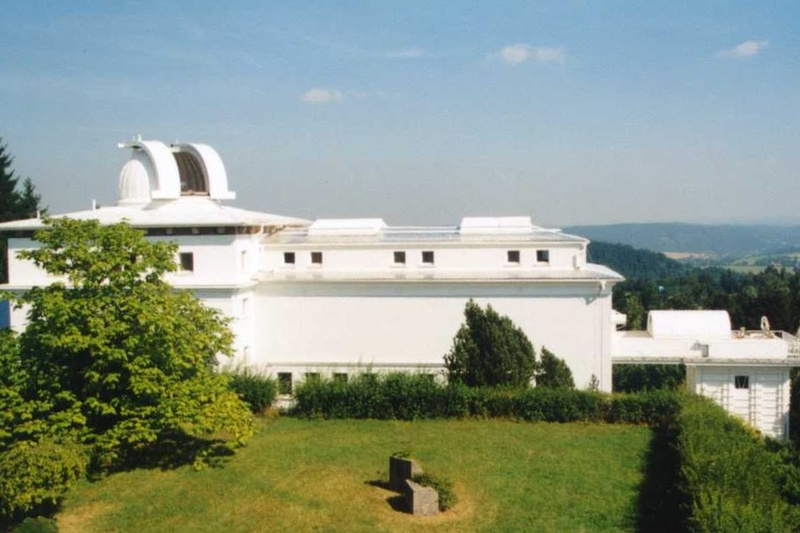 Consider in details now a method of observations of fast processes in solar chromosphere with Multichannel Flare Spectrograph (MFS) installed in Ondrejov Observatory (Czech Republic). MFS was originally constructed in 50-th years (1) and reconstructed in the nineteenth (2). Fig. 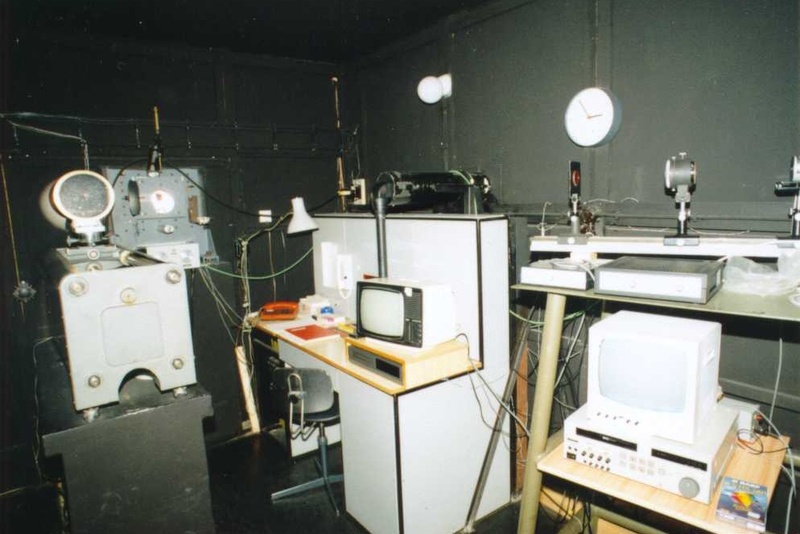 1: The optical circuit Multichannel Flare Spectrograph. 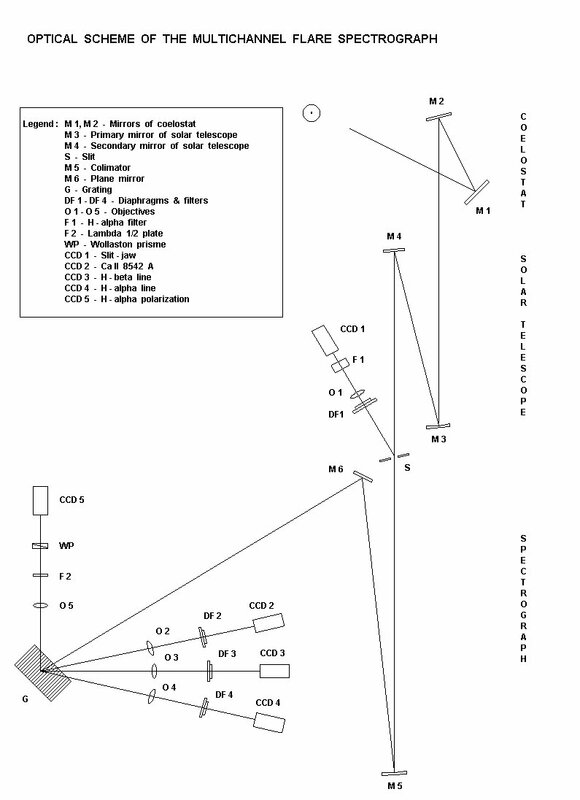 Horizontal solar telescope 230 mm/1350 cm (1) create the image on the slit of the spectrograph - see Fig.1. 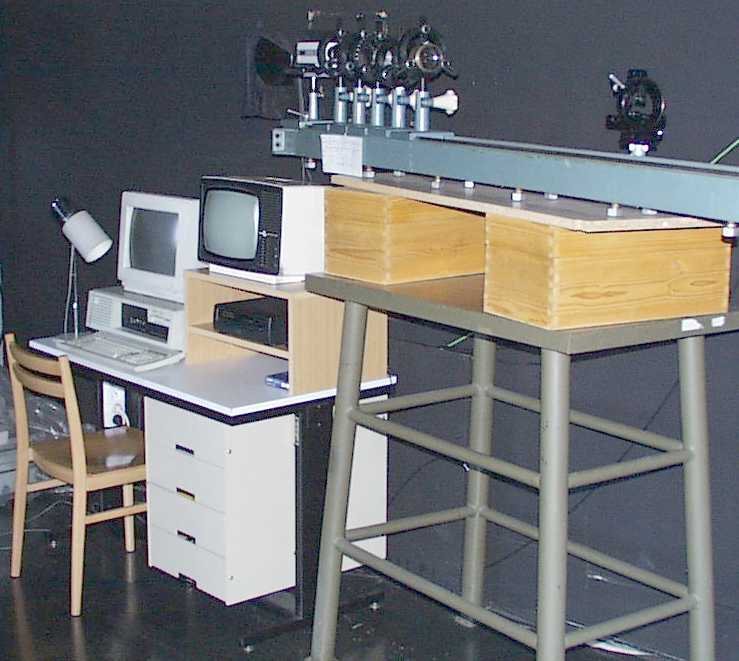 The main parameters of the spectrograph are: the size of the lattice - 90 x 100 mm; the resolving power - 600 "/mm; linear dispersion 1 A/mm in the 2-nd right order. Spectral image is formed in the plane of automatic photo and CCD-cameras. The working spectral range lies between IR CaII 8542 A and K CaII 3870 A. To observe solar image on the spectrograph's slit a lens, narrow-band H-alpha filter (4) ("Daystar") and CCD-chamber are used. In the case of photographic observations the exposure time is about 0.1 - 0.3 s for disk flares and 10 s for prominences when the second diffractional order is used. CCD cameras in use have the size 6.4 x 4.8 mm. As a rule an exposure time is 1/25 s, but it can be shorter if necessary. 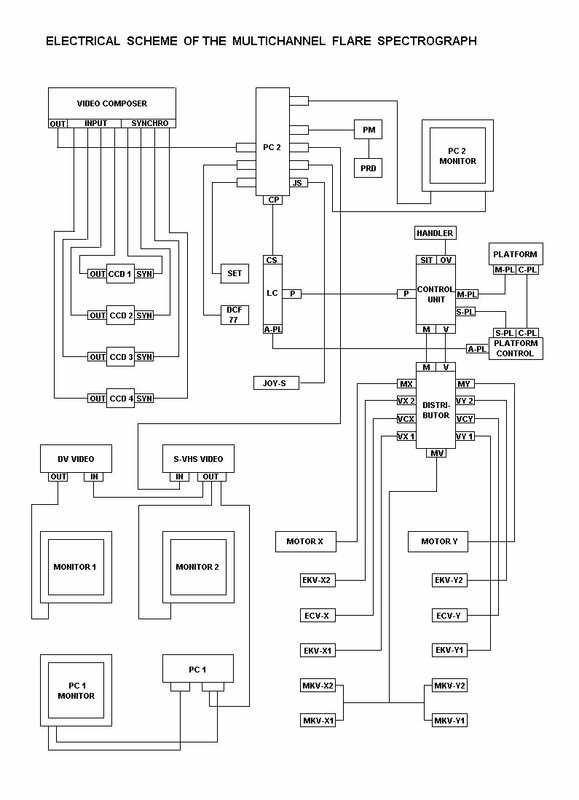 Camera videosignal is registered by the videorecorder VSR Panasonic 7350 in the analog form (S-VHS standard) and can be transformed later into a digital form by means of special videocard (frame-grabber). 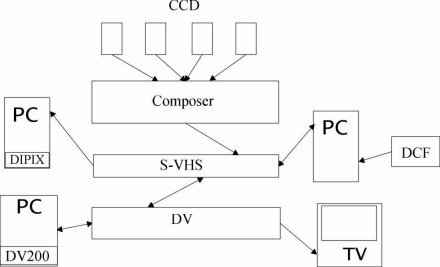 Personal computer is used to control this system - see Fig.2a. SUN Workstation is used for final data processing with IDL software (3). 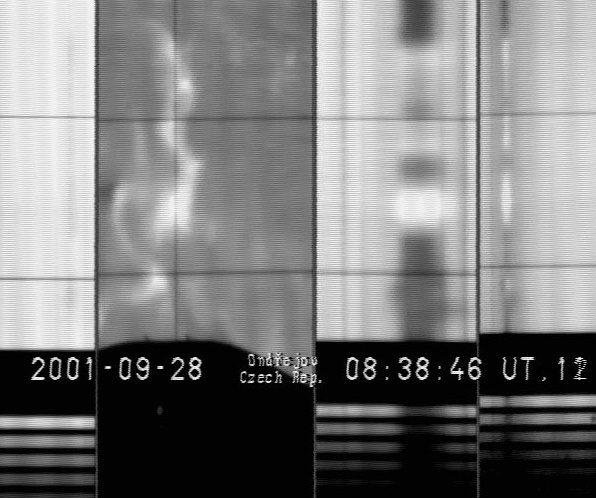 TV image of chromosphere and solar spectra in three bands are shown on Fig.2b. 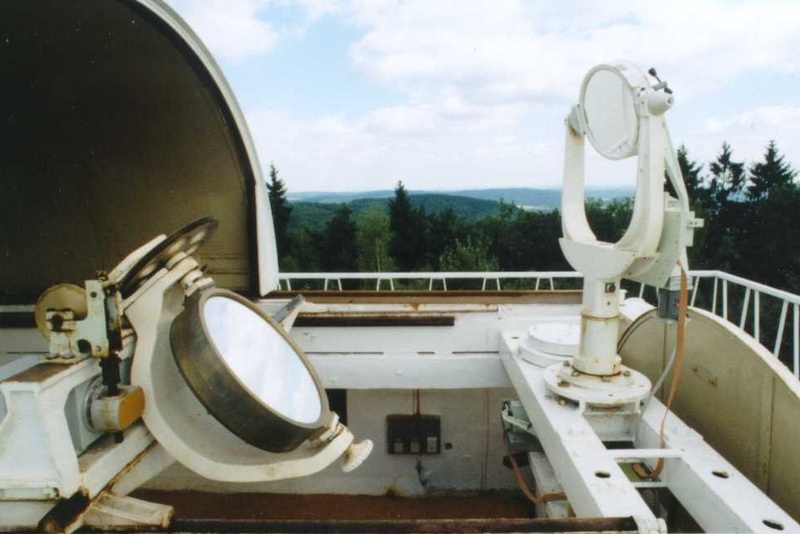 To improve the system of collecting information about the principal flare parametres we have installed a new branch into the fist diffraction order of the Multichannel Flare Spectrograph. It consists of a Wollaston prisma, a lambda/2 plate, lens and a more sensitive CCD video camera, see Figure 3. We use a 1 inch CCD video camera ICD-42B with an enhanced sensitivity as compared to an usual CCD video camera. 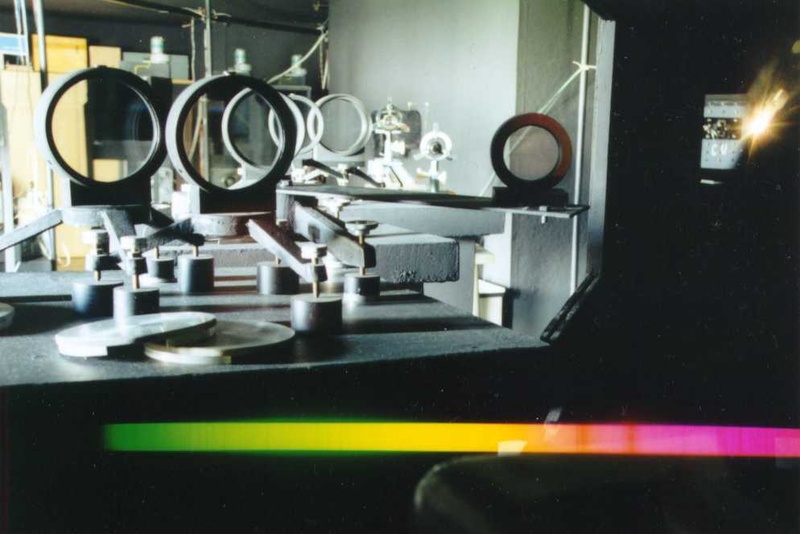 It enables us to detect two strips of linearly polarized light in H-alpha line. The linear polarization can give a good evidence about outstanding directions in the solar plasma (4). 2. Kotrč P., Heinzel P. and Knížek M., 1993: JOSO annual Report 1992, 144. 3. Kotrč P., Korčáková D. and Kupryakov Y. A., 1998: Motions and structures in active prominence on September 18, 1995; A.Hanslmeier & M.Messerotti (eds. ), Motions in the Solar Atmosphere, 239-242, Kluwer Academic Publishers. 4. 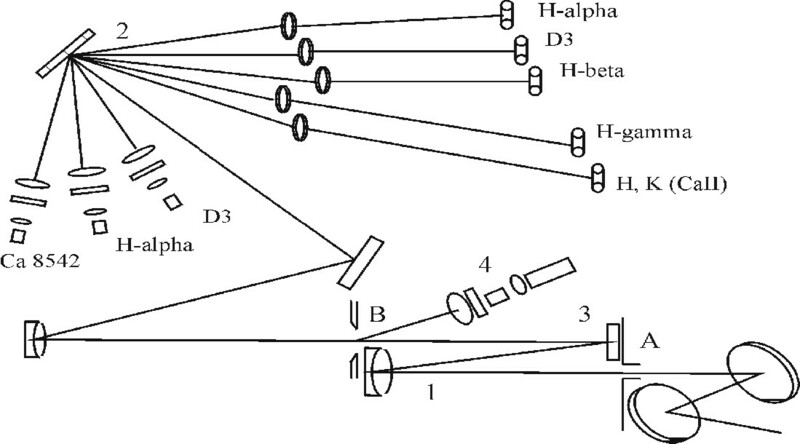 Kotrč P. and Kupryakov Y. A.,1998: Abstracts of the JENAM'98, p. 47, On the Velocity Field and Direction of H-alpha Polarization in the May 29, 1998 Limb Flare.